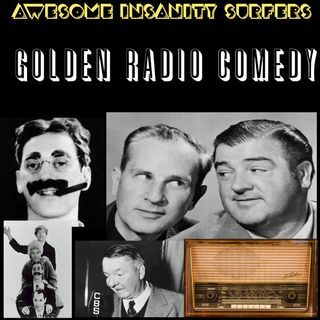 Golden Radio Comedy (Original Air Date November 5, 2018) Let A.I. Mike and A.I. David take you back roughly 80 years in time to sit around the radio in the comfort of your living room while we reminisce or rediscover some excerpts of "An Evening With Groucho Marx" as well as the most popular skit from Abbott and Costello of all time. Find fascinating old time comedy and drama, all public domain, at Old Time Radio. Station identification by Linda Irwin. "Bounding" is paid ... Más informaciones license through NCH.